Operation could not be completed. Access is denied. 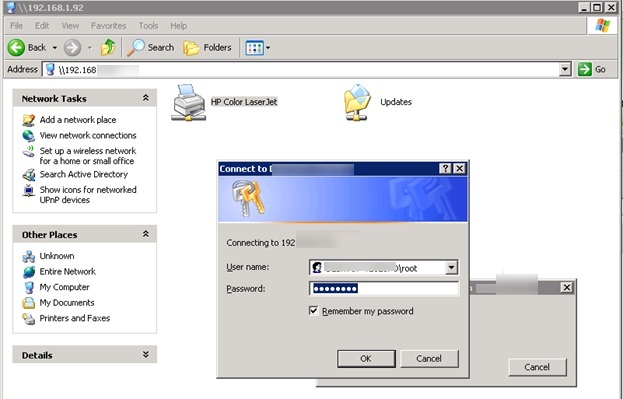 When trying to connect a network printer in XP through the Connect option of the printer context menu, it is prompted to specify the name and password of a user with privileges on the remote Windows 10 computer . 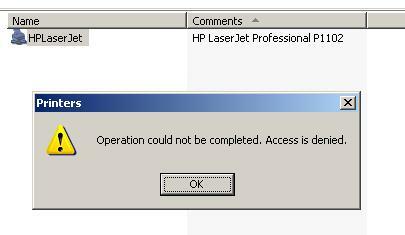 The credentials supplied are not sufficient to access this printer. Do you want to specify new credentials? Then you specify the password and the same repeats again and again… The most interesting thing is that you can open any files on a network share in Windows 10 from the XP client without any troubles (so the problem is not in the lack of support of SMB 1.0). The problem appears only with network printers. 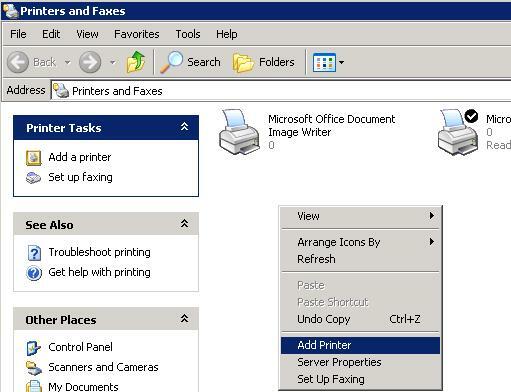 If a shared printer in the same configuration is connected to Windows 8.1, you can print anything easily. What we tried to do: In the Network and Sharing Center in Windows 10 we disabled entering password to access a PC running Windows 10 from the network (Turn off password protected sharing), switch to Enable File Sharing for Devices That Use 40- or 56-Bit Encryption mode, tried to create the same local users in both systems. Nothing helped. 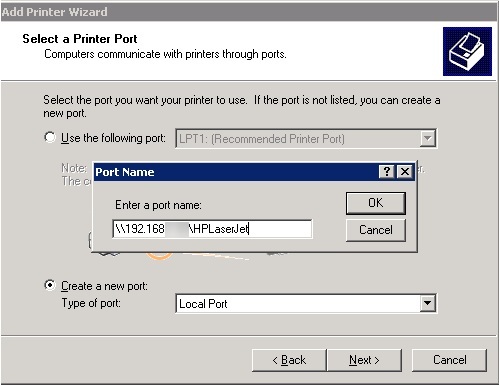 Finally, to connect to a shared printer in Windows 10 from a computer running Windows XP, we had to use an old workaround and connect the printer via a local port. 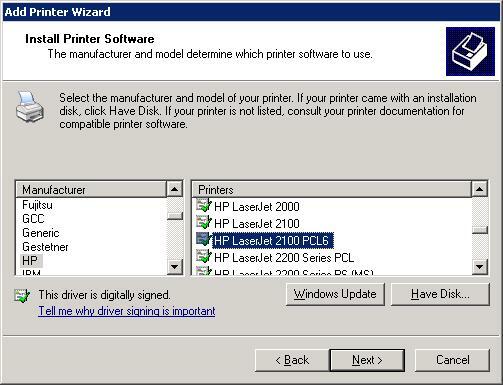 Select or install the suitable printer driver. Finish the installation, restart both computers and try to print a document. It should be printed successfully! Note. I have found a quite interesting fact: a user has to be logged in Windows 10, otherwise the port won’t be available. I am doing all of the steps, yet when I’m specifying the port name (\\192.168.1.76\Epson) I get a message “Access is denied”. If I spell something incorrectly or use the Win 10 computer’s domain name instead of IP, I get “The network path was not found”. Meaning, in this case the printer was found. How do I fix this? I AM DOING THE SAME PROCEDUR BUT ERROR COME. Thank you! This is the answer to this irritating problem. I found this to be the answer to my problem of getting my Windows XP laptop to add the shared USB printer on a Windows 10 computer. After adding the printer as a local printer and specifying it’s address on the network, I am now able to print just fine. Thank you so much! Thank you very much for your detailed instruction! So I was able to use my Canon printer at my Windows 10 computer from my Windows XP/Windows 2003 computer. Additionally your description worked very well using my HP printer at the Windows XP/Windows 2003 computer from the Windows 10 computer. Missing local drivers could be downloaded during the procedure from Microsoft Update. THIS WORKED FOR ME when connecting network printer on a Windows 10 desktop to Windows XP SP3 desktop. So this tutorial saved my time and effort a lot. Thank you so much. Wish you all the best!